The Dunedin light Party provides a fun filled event for Children up to year 8. 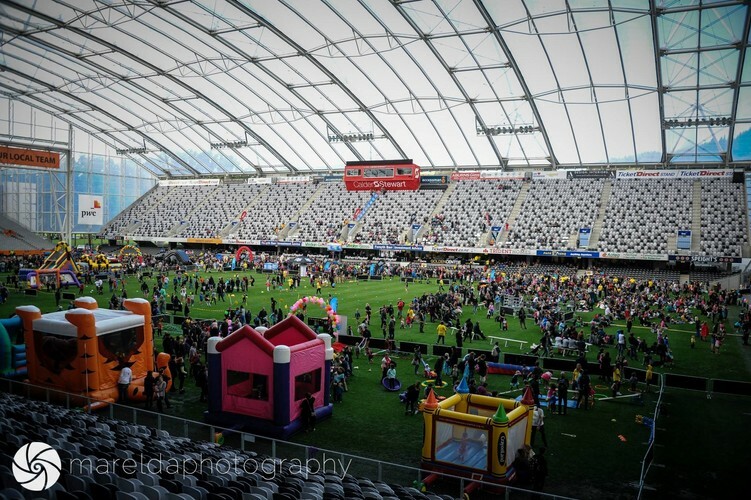 The event provides a safe, family focused, non-Halloween alternative for children. Gold coin donation entry and all activities free of charge. 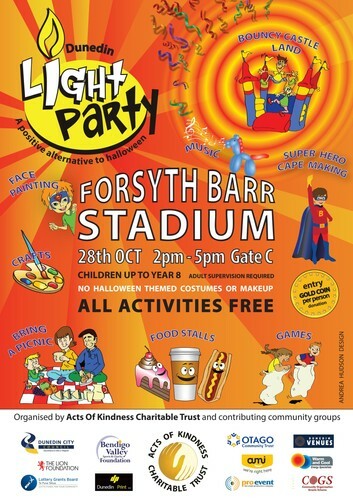 Activities include a large inflatables area, face painting, craft, super hero cape making and games. Food vendors will be on site but we also provide a free sausage sizzle and have water available free of charge. Parents or caregivers must accompany their children. No Halloween make up or costumes.